Finding a chalice in bed was not what Merry expected to find after she and guards went to sleep. All of them know what the chalice means and fear what is to happen when the Queen finds out. Merry and her guards will keep the chalice hidden but it will be difficult as it will unravel in the heat of passion waking up dormant powers of her guards. 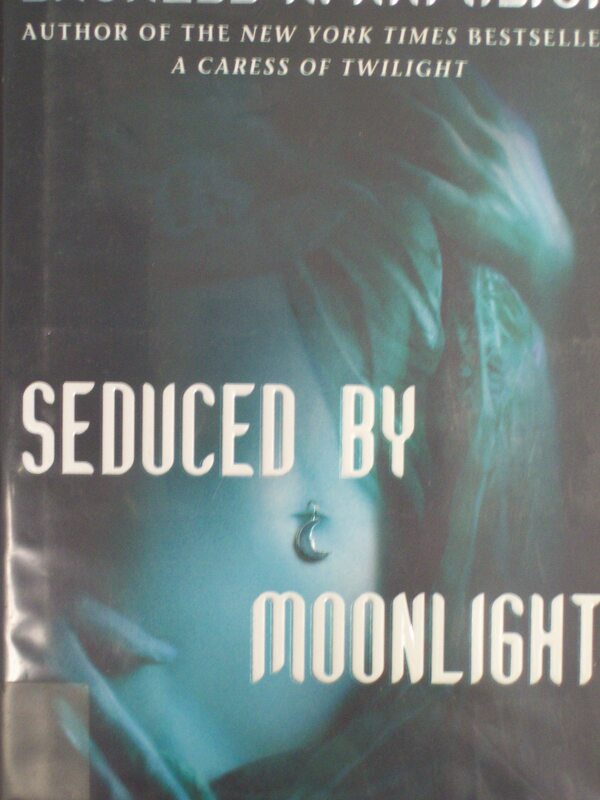 The third book, Seduced By Moonlight by Laurell Hamilton steps further into the world of the fey. Merry is encountering with more of the fey in this book and I find it interesting that magical objects keep finding their way to Merry. I like that Merry is gaining power first with the ring and now the chalice. She is becoming stronger and almost like a goddess herself. Doyle is still my favorite but really I like all of the guards. I think Hamilton does a good job making each guard distinctive and their own personality and power. I am looking forward to the fourth book to find out if Merry will yet win the race to the throne.